Hi everyone! Shaving has been in existence since the dawn of time and there were many ways on how hair removal was done back then like using shells or copper razors. Today, with the advance use of technology and research, the leader in the shaving industry Gillette, has a groundbreaking product to make shaving better each day. It is the all new Gillette Fusion ProShield! Here is a question you should ask yourself before shaving. Do you shave before, during or after shower? While it is a matter of choice, shaving after shower gives you the best shave. The problem with shaving for men is this: Our shaven facial hair is as strong as copper wire and our skin is simply like jelly. It is tough to cut the copper wire without spoiling that jelly-like skin. As a result, with ordinary shaving kit, you could shave effectively but definitely bound to razor burns after many strokes just to ensure you get a clean and close shave, not missing any spot on the face! Experiencing razor burn is not fun at all. It gets worst when you skin gets dry especially in air-conditioned places. Your upper lip would just crack and it will affect your confidence with obviously chapped and dry skin. How Gillette latest Fusion ProShield helps? At the party, while Gillette launched its newest product, revealed in it study that most men take about 170 strokes while shaving. However, many men shave on auto-pilot and can re-stroke up to 120 times during the shave, after the initial 50 strokes wipe away most of the shave gel, unintentionally causing irritation. Gillette revealed the secret behind great skin with a surprisingly simple and hassle-free solution. 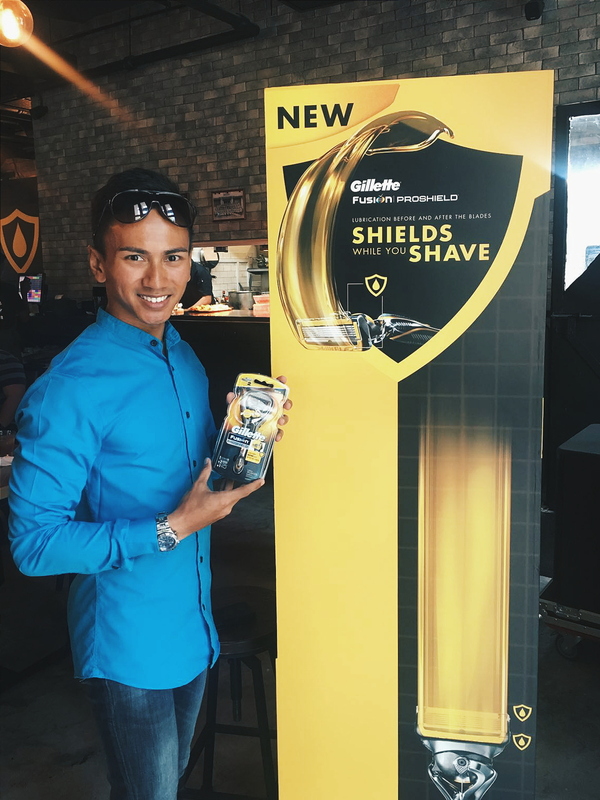 The new Gillette ProShield features a new Lubrication Bar before the blades, in addition to the Lubrastrip after the blades, to shield from irritation! It makes shaving as smooth silk. With lubrication before and after the blades, Gillette’s Fusion ProShield razor continuously and constantly primes the skin that helps big time to avoid irritation from re-strokes. The new ProShield Lubrication Bar is activated by water and designed to deliver additional lubrication before the blades without compromising blade geometry and shave closeness. Great skin starts with a comfortable shave and this combination of Gillette’s best handle with its breakthrough ProShield cartridge provides the most advanced and closest shave experience yet! The secret launch party was fun and leisurely with mandatory shaving demonstration and Whisper Challenge game. What is a shaver launch event without a shaving demonstration? 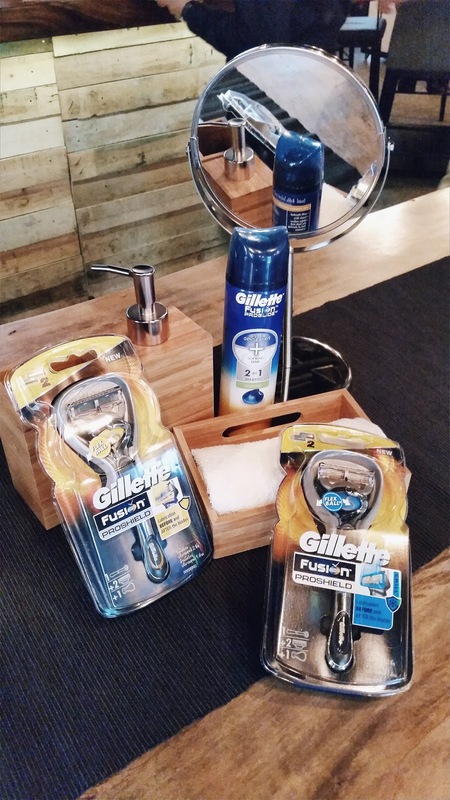 Enjoy a premium shaving experience with Gillette’s newest razor this weekend! As part of Gillette's celebration of men's new best friend, Gillette, in collaboration with the barbers from Truefitt & Hill will be offering Hot Towel Shave this weekend, 26 to 28 August to shoppers at Guardian (VivoCity) and Watsons (Ngee Ann City) from 6 – 9pm on Friday and 12 – 9pm on Saturday and Sunday, respectively. Truefitt & Hill is recognised as the finest traditional gentlemen’s barber and perfumer in London. 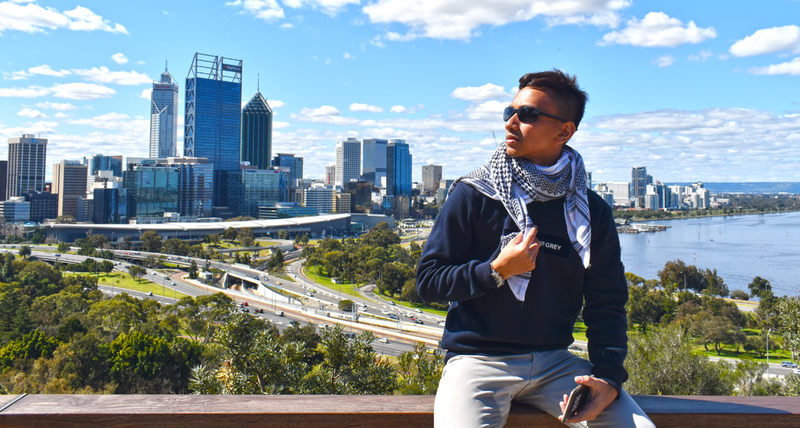 To get The Best a Man Can Get shaving experience, simply purchase S$30/- worth of Gillette products including the new ProShield razor and receive a luxurious Hot Towel Shave experience complimentary from the barbers at Truefitt & Hill! If you are a fan of Mediacorp Artiste Elvin Ng, he will be there on 27 August, at Guardian (VivoCity) from 2 – 3pm and Watsons (Ngee Ann City) from 4 – 5pm! *All decisions on pricing, promotion, distribution, assortment and shelving are at the sole discretion of the retailer. Comes in yellow (standard) and blue (Chill™ with Cooling Technology).